Data is changing the dialog —online, in boardrooms, and in social media. People are visualizing their data to explore questions, uncover insights, and share stories with both data experts and non-experts alike. How can firms achieve positive returns on their analytics investments by taking advantage of the growing amounts of data? How do you create a data-driven culture? If you’re an executive, manager, or team leader, one of your toughest responsibilities is managing and organizing your analytics initiative to create value. Tesco issues 100 million personalized coupons annually at grocery cash registers across 13 countries. Predictive analytics increased redemption rates by a factor of 3.6. In every industry, senior leaders wonder whether they are getting full value from the massive amounts of information their organizations already have. New technologies collect more data better, faster and cheaper than ever before, yet many firms struggle to obtain value from their data because of fragmentation. Knowing what happened (reporting) and why it happened (descriptive analytics) are no longer adequate. Market leaders need to know what is happening now, what is likely to happen next and, what actions they should take for optimal results. Business analytics must help firms recognize subtle trends and patterns so they can anticipate and shape events and improve outcomes. Not only drive more top-line growth and control costs, but also identify risks – and take timely corrective action. Analytics based data products and decision processes is the new wave. The breadth of what is considered business analytics is staggering.This explosion of data enabled capabilities/innovation has accelerated in the past 5 years. Do you have the right toolset, dataset, skillset and mindset for execution? 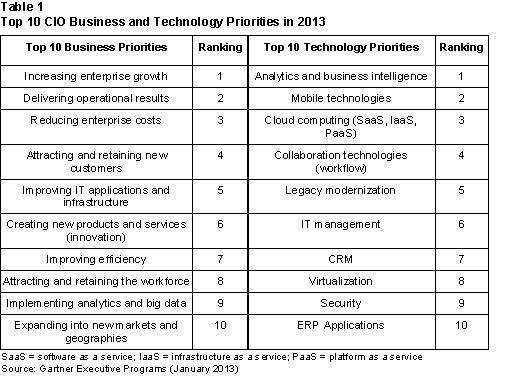 Reporting and Analytics is now the top priority in most corporations according the Gartner Survey. Studies show that organizations that apply analytics outperform their peers. And those with a high “Analytics Quotient” – that is, a broad-based, analytics-driven culture – perform, on average, three times better. In the Information Age, there is an unprecedented amount of data being collected and stored — by banks, retailers, supermarkets, internet sites, governments, credit card firms, etc. So, now that we have all this data, what do we with it? How do we process it? Business Analytics 3.0 blog is meant for decision makers, managers and technologists who are trying to make sense of the rapidly changing data technology landscape and build next generation solutions. It is aimed at helping business decision makers navigate the “Raw Data -> Aggregate Data -> Intelligence -> Insight -> Decisions” chain. Data-driven Business: understand some of today’s thorniest business problems with data, reporting, analytics, new interfaces, and the advent of big data computing. 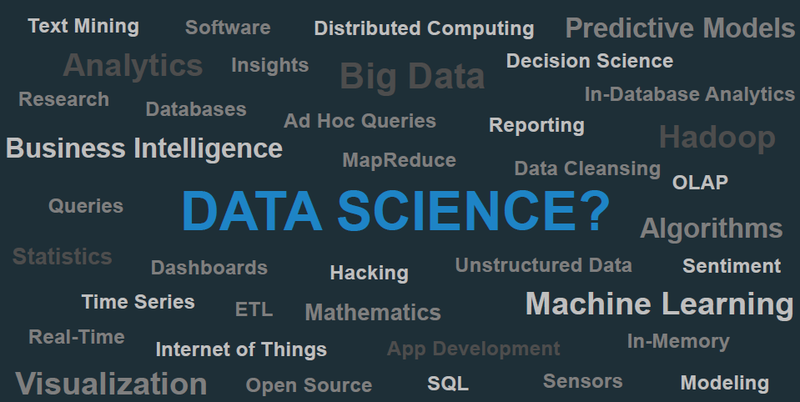 Data Science: the world from the perspective of data practitioners—from the hard science of new algorithms to cultural change and team building. Big Data for Enterprise IT: Create big data strategy, manage your first project, demystify vendor solutions, and understand how big data differs from BI. Emerging Technologies: Hadoop, Cassandra, Storm, Drill, and other emerging technologies. Connected World: Explore the implications—and opportunities—as low-cost networks and sensors create an ever-connected world. Design: Make data matter with highly effective user experiences, using new interfaces, interactivity, and visualization. Big Data in Practice: Get practical lessons, integration tricks, and a glimpse of the road ahead. Governance: Understand issues in compliance, governance, and leadership in the era of data. The directional trend is unstoppable. The research firm IDC predicts that global data volumes will increase by 29 times over the next 10 years to 35 zettabytes. (A zettabyte is a 1 followed by 21 zeros.) The incredible volume of data and the increased complexity of data management are driving demand for new “insight” services. Given the growing volume of data, there is paradigm shift taking place in analytics: moving from “capture-and-mine-data” models to near real-time pattern and signal identification. We are moving from “sense and respond” to “anticipate and shape” models. Take for instance, web and mobile e-commerce. Consumers create enormous trails of data as they surf, browse, buy, share, and search across the Web. There are now large stores of information about history and intent, preferences and choice, products and services, which can be captured and analyzed. With enterprises needing a way to manage and mine potentially valuable information from this big data streams, advanced data analytics that separates “signals-from-noise” is witnessing increased adoption. Companies have to leverage this data fire hose to design interactions, processes, experiences, and products that will better match customer needs. Value Creation Challenges/Opportunities…. How to? How to harness the data explosion, meet your organization’s needs for flexible business intelligence deployment options and satisfy user expectations with powerfully simple analytics you can’t outgrow. How to guide management strategy in the most profitable directions with timely, reliable insights, scenario modeling and transparent and timely reporting. How to discover subtle patterns and associations and develop and deploy predictive models to optimize decision-making. How to gain deep insight into all aspects of risk management, including governance, risk and compliance, with an integrated solution that adapts to your organization’s unique risk profile and methodology’s. How to provide line-of-business managers with actionable insights through packaged analysis and reporting solutions. Businesses today use data mining and analytics to drive pricing, marketing promotions, finance, operations, logistics, risk management and online activities. So, what’s next? We are beginning to see companies assemble new reference architectures for building next gen analytics platforms. The focus today is at the real-time Systems of Engagement (or customer interface) layer – offerings sit between traditional IT systems and a complex array of channels and devices that customers are using to access their services today. However, there is an art and science to developing Business Analytics 3.0 solutions. The WHAT of building new and unique “data” experiences starts with design thinking (Art). Envisioning and building the analytics architecture for generating and presenting novel insights is the baseline proposition for any analytics solution. The HOW is achieved through a variety of measurement, optimization and visualization tools that form the tiles of a industrial strength analytics platform (Science). We are on the cusp of a remarkable wave of innovation, productivity and growth thanks to new and emerging data integration, analysis and visualization technologies. Enterprise companies that are seeking a competitive advantage will embrace this shift. Analytics (and big data) touches everyone in the modern world. We are now transitioning to a multi-functional discipline which will define the next decade. A great opportunity resides in transforming the current system landscape into a system of differentiation for business. Despite all the excitement, the journey to world-class analytics is going to be a major transformation exercise. CIOs, everywhere, are faced with the daunting task of unlocking the value of their data efficiently in the time-frame required to enable accurate decisions. Hope you are as excited about this topic as we are. We hope to share our insights and interacting with you in this blog. It’s nice blog and thanks share w2ith us .